Brussels sprouts! I have to be honest, they are usually not the first ones to pop up on my grocery list, because I really did not like them when I was a kid. But now, I thought it was time for a change! That’s why I made this dish last week. Curry powder, pepper and salt to taste. 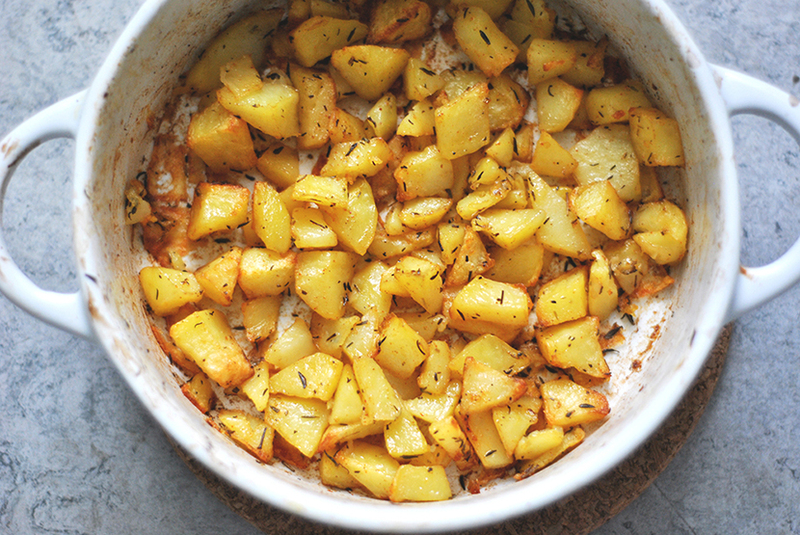 Cut potatoes into small cubes, mix with sunflower oil, salt, pepper and thyme. Place the cubes in an oven dish, put in the oven. Stir a few times in between. Take out of the oven after around 30 minutes. 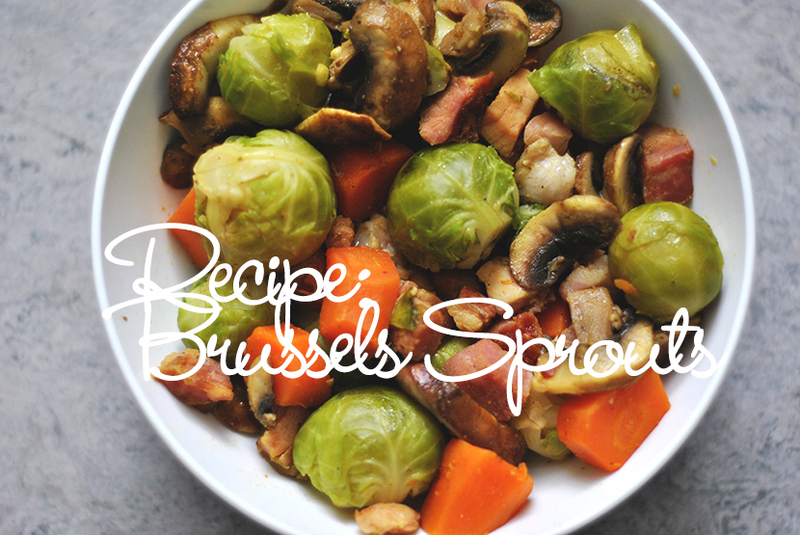 Clean the Brussels sprouts, and carve a cross on the bottom of the sprouts. Cook Brussels sprouts and a pinch of salt in boiling water 6 minutes or until almost tender. Drain and plunge into ice water; drain well. Cook bacon, cut carrot, crushed garlic and sliced mushrooms in a large skillet with butter over medium-low heat. After 5 minutes, add Brussels sprouts and cook for 10 more minutes on low heat. Add water in between if necessary.